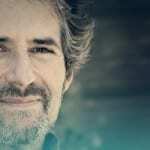 In the days since the death of acclaimed Hollywood (Titanic, Avatar, and Braveheart) and animation composer, James Horner, I have come to pay tribute to the man whose own melodies made us both happy and sad while we grew up with him. Here are the top seven animated films he scored that I consider the best. Out of all the three Amblimation films for which Mr. Horner composed, this one is the most forgettable. As a kid, and now as an adult, I can’t remember a single melody from the score that is supposed to give you chills. But, it did have some nice moments with Boris, Muk, and Luk. Although this score has some nice moments, such as the opening title sequence and some parts with the book characters of Adventure and Fantasy, much like Balto its melodies and score are forgettable. Enough with the “mediocre-ness”… now we’re getting into the good stuff. This score, being Mr. Horner’s first animated score, is just so beautiful. It just makes you wanna realize that there is more than the Oscar-nominated song, “Somewhere Out There.” From happy song moments (“No Cats in America” and “A Duo”) to thrilling, chilling moments (the Cossack Cats sequence and the storm sequence) and, above all, some sad yet beautiful moments. Particularly moving is the opening title sequence. Listen to those chords! They make you wanna invite your mother to join you and watch this movie. Despite being a critical and financial failure, this film, for me, is a guilty pleasure. This is not only because of the design and animation, but also because of Mr. Horner’s musical score. I mean, come on. Who doesn’t remember “Roll Back the Rock” with John Goodman singing? The rest of the score is quite catchy and wondrous to listen to. Think of the moments when they’re in Captain Neweyes’ aircraft or when the children think about the past. These light moments are juxtaposed in the score with Professor Screweyes’ incredibly dark and scary circus, which is terribly frightening. Yes, folks. My favorite animated James Horner score is from one of Don Bluth’s great films. I mean, even compared to Titanic, the musical score in this movie is so epic! This can be seen from the opening title sequence in the ocean to the Sharptooth attack, the whispering winds, and the entrance of the Great Valley. It ranges from happy to sad, scary, and touching all at the same time. And, saving the best for last, the ending credits song, “If We Hold On Together,” is the cherry on top to this great musical score from James Horner. So, if we still hold on together, since James Horner is no longer with us, I know the dreams he gave us will never die. Rest in peace, Maestro Horner. Rotoscopers is an animation news, reviews, and interviews site for animation addicts young and old. In addition to articles, the site has a podcast called the Animation Addicts Podcast and YouTube channel.